Lisbon is quickly becoming one of Europe’s trendiest destinations for a culinary adventure. The Portuguese capital offers a handful of fine dining restaurants celebrated for their Michelin stars, a bustling foodie market brought to you by the innovative team at Time Out, and a parade of must-try dishes and drinks that showcase the city’s unique taste of place. If you’re the type of tourist who enjoys eating your way through a destination on holiday book yourself an authentic food tour with in-the-know experts at Your Lisbon. The bespoke tour operator is run by Amylee Silva, a Portuguese Torontonian who has taken her passion for good food and impeccably curated travel experiences to the streets of Lisbon. Amylee spent an afternoon taking me on a tasty tour to explore Lisbon’s most celebrated sips and nibbles: from sampling the city’s OG custard tart, to forking through the world’s best slice of chocolate cake, and finishing it all off with swig of Anthony Bourdain’s much-loved cherry liqueur. 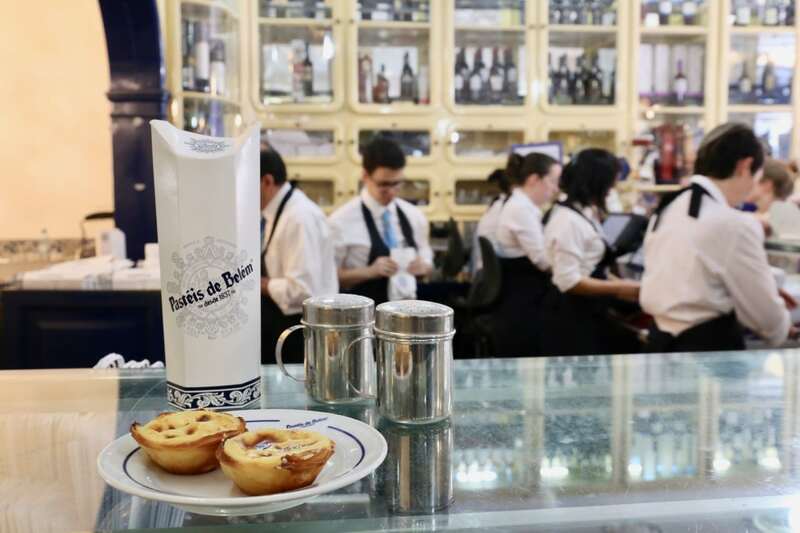 Portugal’s must-try pastry is the custard tart and there’s no better place to crunch into the sweet treat than at Lisbon’s iconic Pasteis de Belem. The wildly popular bakery and cafe is located a stones throw from the jaw-dropping Jeronimos Monastery. Since 1837 monks have been serving these addictive sweets, known for their buttery meets crunchy crust which holds a divine creamy custard. The recipe, a national treasure, has been kept secret for over 200 years. Locals and curious tourists are willing to wait in long lines to devour the 20,000 tarts which are prepared here each day (in the summer that number can double). Enjoy the tart fresh out of the oven and sprinkle with cinnamon and icing sugar for a truly divine dessert experience. Chocaholics looking to skip inside sweet nirvana find happiness at Landeau Chocolate. 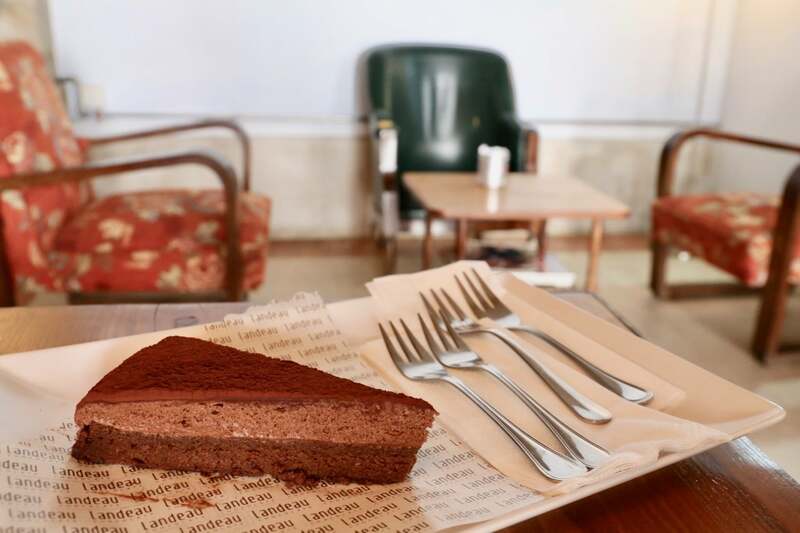 The popular cafe concept (with locations in Chiado and the LX Factory) serve up a sublime signature chocolate cake, which has been ranked by many top food and travel publications as the best slice on earth. The simply divine dessert features a rich chocolate sponge topped with creamy mousse and is dusted with top quality cocoa. If you’re the kind of foodie who drools over gourmet grocery shops with shelves stacked full of local tins head to Mercearia Poço dos Negros. 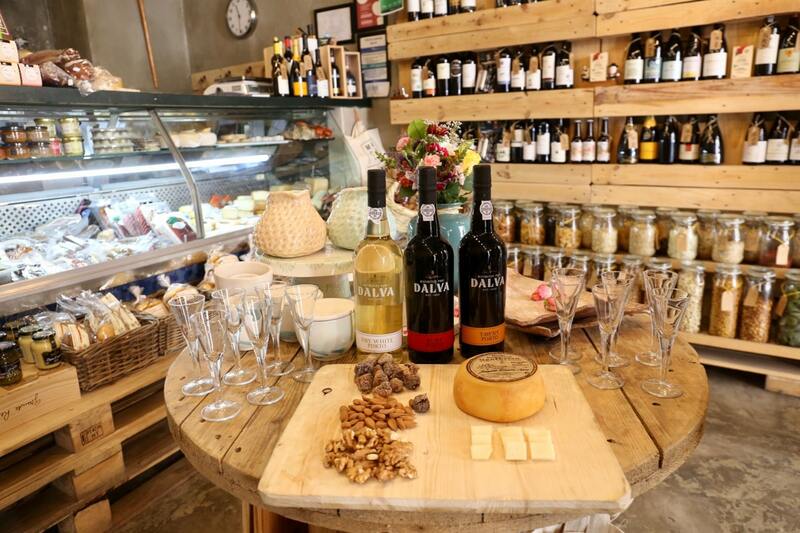 The petite gourmet grocery store sells only high-quality Portuguese products featuring colourful sardine tins, tuna patés, speciality regional cheeses, dried fruits and nuts, olive oil, and bottles from the country’s most celebrated boutique wine producers. The owner speaks fluent English so feel free to pop in and ask for a tasting. We sampled from three of the owners favourite port bottles while nibbling from a board topped with a wheel of chewy cheese, crunchy almonds and walnuts, and sweet dried figs. Made popular with tourists after Anthony Bourdain’s visit (though locals have always been in the know), The Ginjinha Bar is located to the east of Teatro Nacional Doña Maria II in Praça Dom Pedro IV Square. 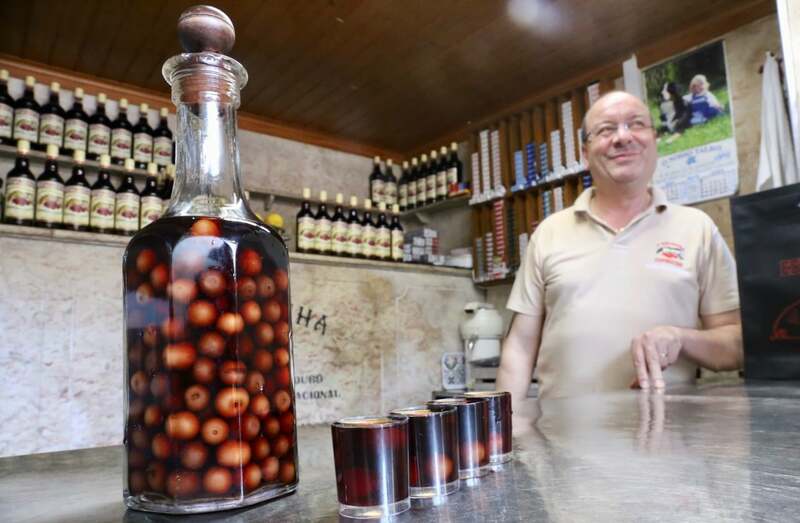 Ginjinha is a Portuguese liqueur made by infusing ginja berries, a type of sour cherry, in alcohol and adding sugar. A shot of the sweet drink costs just €1.20, and includes a few sour cherries at the bottom of your glass that you can chew on after you’ve sipped yourself silly. 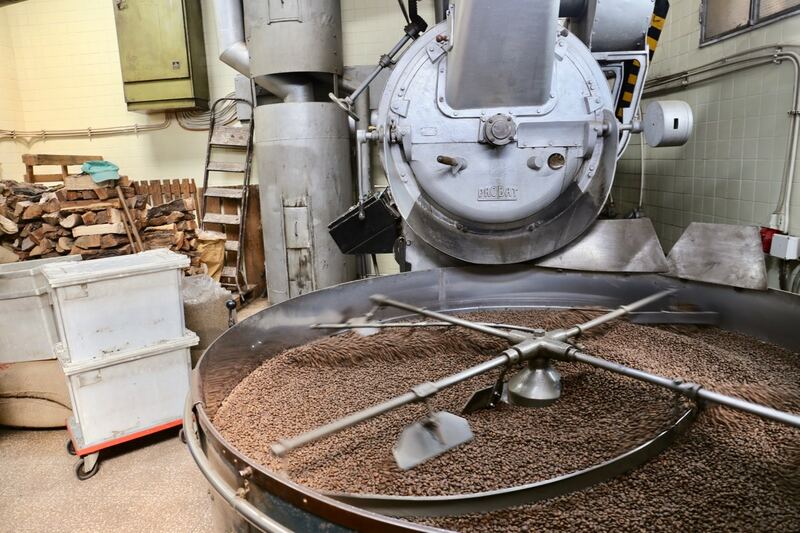 Java junkies looking to get their caffeine fix in Lisbon will delight on a behind-the-scenes tour at Flor da Selva Roastery. Established in 1950 in Bairro da Madragoa, this family-owned small-scale coffee roasting company is known for crafting each batch the old fashioned way, over a wood-fire. Each day the company’s coffee experts use time honoured techniques to produce a top quality bean that can be enjoyed at Lisbon’s top cafes, restaurants and hotels. After watching the steaming beans pour out onto a whirling pan to cool you’ll sniff through sublime aromatics. A coffee lovers dream!